has the patience and energy so necessary for her young students. Her radiant smile accented by her fun personality enables her to bring out the best in each child. She began dancing at age five at the Marcia Hyland Dance Center studying under Karen Giorgio, Nicole Angelastro, Gerry Barney and Linda Polvere. 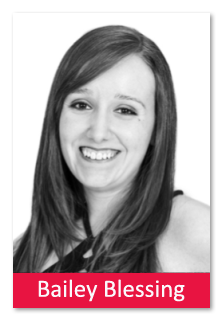 She has since earned a place in the Marcia Hyland Dance Company and is a member of our teaching staff. Bailey’s creative classes guide children through basic movements that prepare them for the next level of technique. Her quick mind and sensitivity reflect her accomplishments as a teacher and an exceptional student of commitment. She is presently teaching Chemistry Labs at Rutgers University, and will attend Graduate School at Rutgers in September 2018 to obtain a Masters of Science Degree in Chemistry. She has been awarded a Teaching Assistantship Scholarship, and is quite an outstanding role model for our students! Her awareness that these happy little faces look up to her and try so hard to please their teacher makes her want to impress and inspire them—Exactly what we would expect from such an unusually gifted performer and instructor!